Like the song goes “Oh, the weather outside is frightful.” It’s so cold this year in my town so of course I have been worrying about my chickens. This is my first winter with my chickens and I have been getting all sorts of advice. 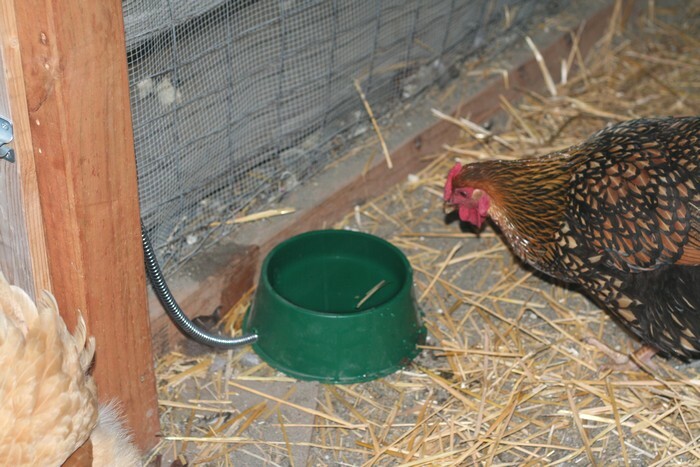 The biggest question I have had is how do I keep my chickens warm during the winter? Well, it seems that nature is one step ahead of me. Here comes the chicken trivia. Chickens have over 8000 feathers and these feathers according to ASU’s School of Life sciences are able to trap pockets of air close to the bird’s body to help keep it warm. How much body heat they keep can adjust by arranging their feathers to trap more or less air. If you see birds fluffing their feathers in the cold that is their way of adding extra air to trap body heat and keep warmer. 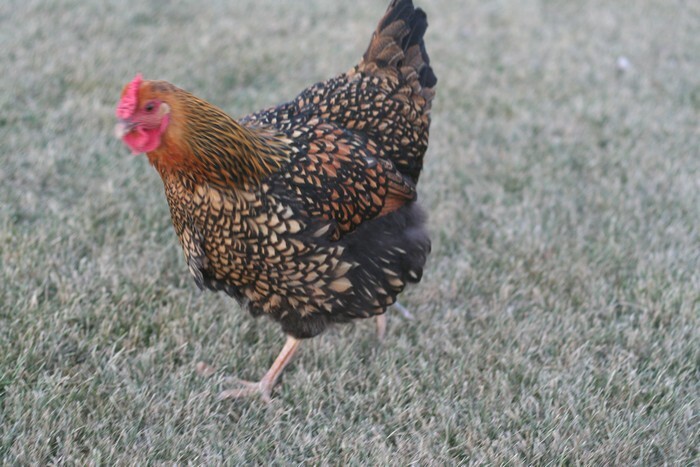 Chickens are tougher than we think and can survive pretty well in the cold weather. 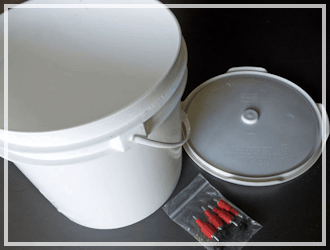 Despite this there are still some basis steps to keeping you chickens safe through the winter. Winterize you Coop – even though it’s tempting to close up all vents to keep out cold drafts this will can be very hurtful. Chickens still need some ventilation for expelling the humidity that builds up in the coop. Instead check for any holes or tears in you coop that can let in drafts and patch them up for the winter. Keep it Clean – Clean out the poop frequently and replace it with several inches of wood shavings and fresh straw. Basically try to keep it dry and give them a little extra bedding to snuggle in. Watch out for Vermin – Inspect you coop throughout the winter to make sure you haven’t gotten any new tenants for the winter. Don’t Let the Water Freeze – Invest in a heated water dish or some method to make sure they have access to water throughout the day. We bought this heated water dish to use and so far it works great!! Check for Frostbite – most people recommend putting petroleum jelly on their combs and wattles to prevent frostbite. From all I’ve read my properly winterized coop should be enough to keep my little flock alive during the winter but let’s face it, I’m a big baby. I know they could survive in the cold temperatures but I could live in a super cold house also and it doesn’t mean I’d like it. My chickens are diva’s and get the heat lamp. If you decide to use a heat lamp like myself please make sure you use some precautions. As you can see my husband added a metal bar across the top of my pretty chicken coop so that I could safely hang my heat lamp. There will be no risk of the clamp falling off and causing a fire that way. Depending on how warm your heat lamp is your chickens can get quite shocked when they leave the coop or if the power goes off. I check my little flock every morning and use a timer to shut off the heat. When the weather begins to warm we will gradually take away the lamp so we don’t stress them out with wide temperature changes. We generally use it when the temperature gets below 15 degrees. I’m using the red heat lamp that my chickens used when they were small. I chose the red lamp because it’s a little darker for the nights. I think this the reason we are still getting two or three eggs a day from my feathered ladies. 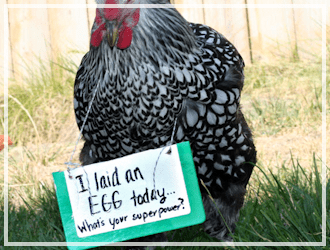 But I am not sure – I know a lot of people have heat lamps and their chickens aren’t laying. 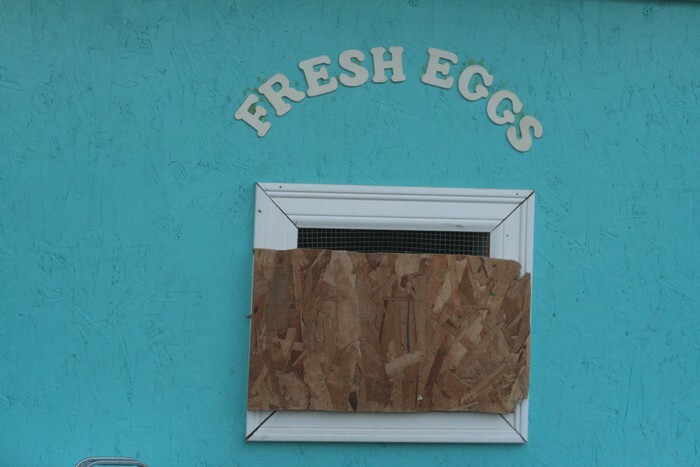 Speaking of eggs – the weather here has been really really cold. Like in the 10-15 degrees even in the daytime. When your chickens lay eggs it’s a good idea to check the coop often. 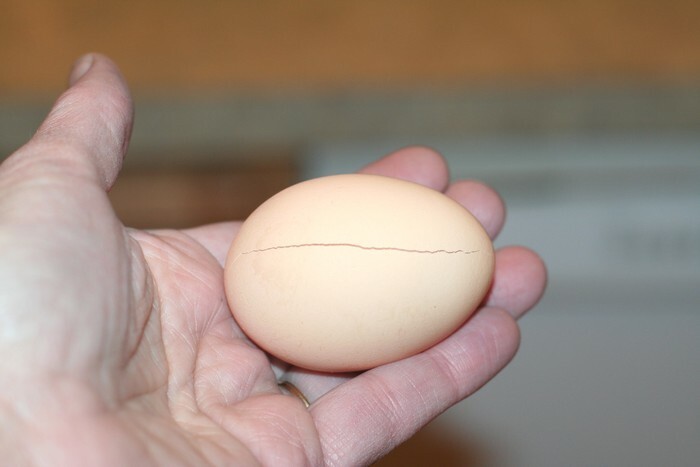 I delayed a bit too long and I found a frozen solid cracked egg! Another thing to check for is frost-bite with your chickens. I am often watching their combs and waddles to look for any signs – checking for little black spots that might appear. But so far so good, these chickens are tough. So far the chickens have been doing really well – I am amazed at how resilient to the cold they seem to be. Me with my 3 shirts, hoodie and ski coat going out to spend 15 minutes cleaning out the coop. I can hardly stand being outside at all in this freezing cold weather. But they seem to be okay in it. 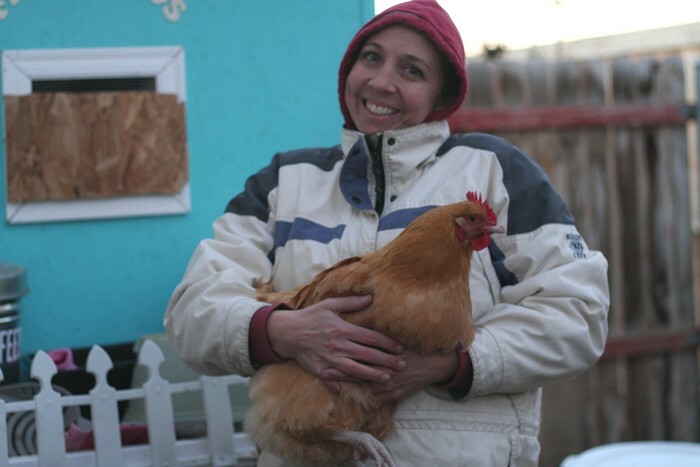 I would love to hear what you are doing to keep your chickens warm in the winter! Are you using a heat lamp? 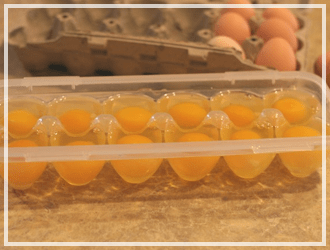 Do your chickens stay inside when it’s freezing cold? No heat lamp -yet, no real insulation as with our coop design is impossible. We will put a lamp in there for egg production and some sort of heat. I worry about frostbite on 3 of our 5 breeds though. We don’t use any heat for our chickens because if they become dependent on the heat in cold nights, they could die if the light burns out to the power goes out. So far this winter it’s gotten down to zero degrees at night and we’ve had no problems. If you have a hardy breed, heat is more dangerous than helpful. The only way I would put (temporary) heat in the coop would be if we hit an unusual cold snap like -30 degrees or something. 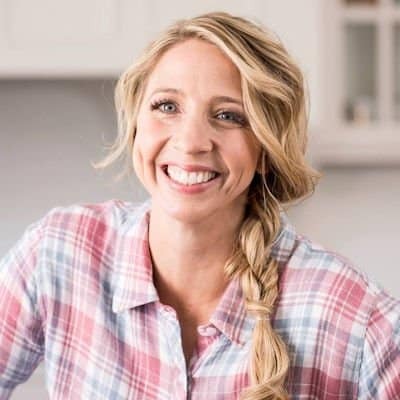 You are doing a great job with your chickens! It looks as though you may have Wyandottes and Orpingtons? Those are great breed choices for a cold climate. We live on the plains of Colorado (outside of Colorado Springs) and find that our well-insulated coop does really well for our flock. Heat lamps are a personal choice. 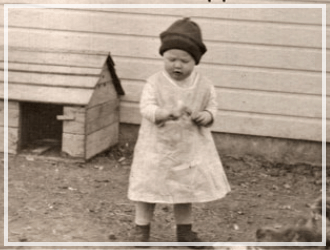 Our first year with chickens, we heated them all the time – now we find they are just fine on their own. 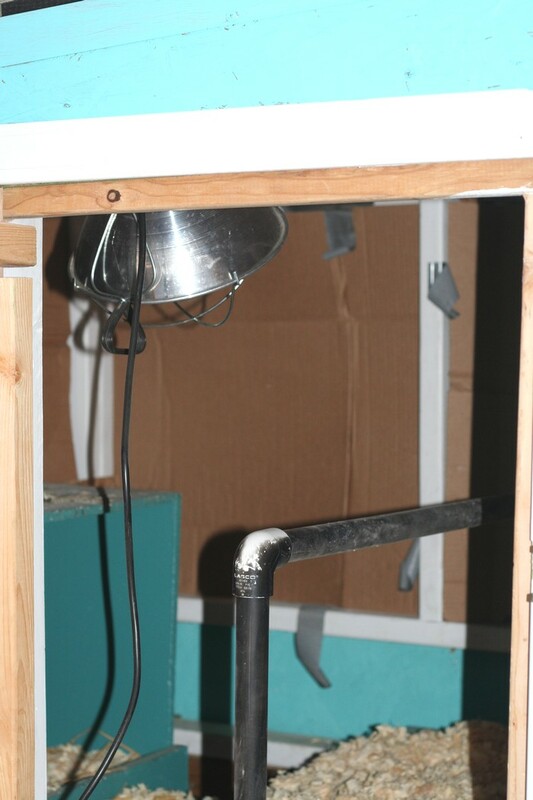 However, the coop walls have 1.5″ thick insulation and that helps a lot. We keep a heat lamp hooked up and ready to be turned on if needed. However, if you ever have a heat lamp break, it will SHATTER. I had one in my duck coop that broke twice and it is horrifying to worry that they have gotten glass in their little feet! 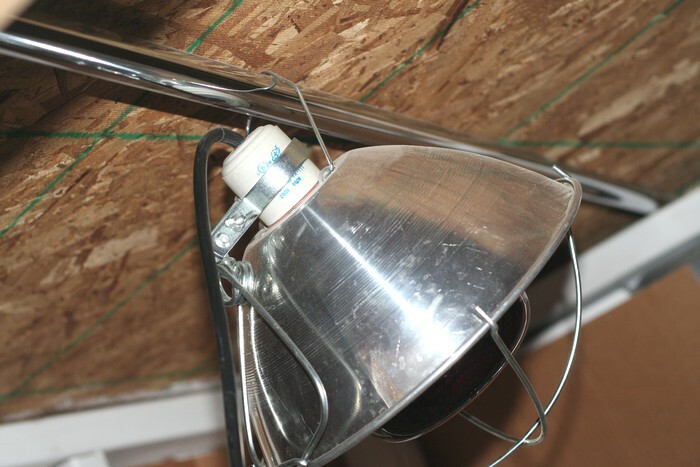 (They hadn’t, thank goodness) If you can rig up some 1/4″ hardware cloth over the criss-cross pieces that protect the bulb, it will keep most glass pieces from going all over should the bulb break. And yep, ventilation is super important even in the coldest weather. The ammonia from their waste is irritating to their lungs and the moisture from it can up the chances of the girls getting frostbitten. Deep litter is the method of layering more wood chips on top of existing bedding and manure to compost and warm the coop. I would throw treats into their bedding so that they would scratch it up and turn the “compost”! It really does work if you add a sufficient amount frequently. 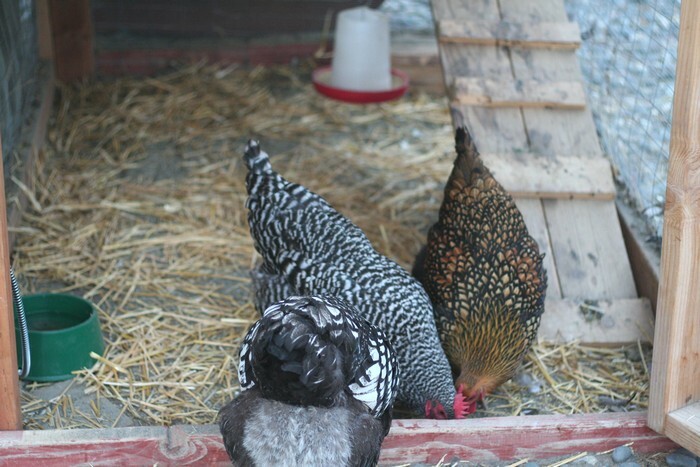 Just as a well-maintained compost pile won’t get stinky, neither will a deep-litter coop! And I just learned today that each chicken emits approx. 60 BTUs of heat a day! Love your chicken facts. 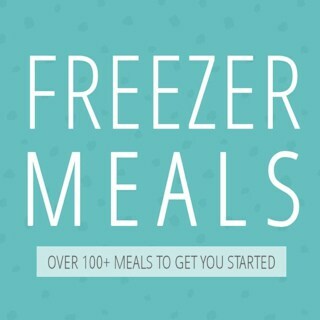 Do u know can u still use frozen eggs. Hi! This is my first winter with chickens too and we just have the three ladies to worry about. 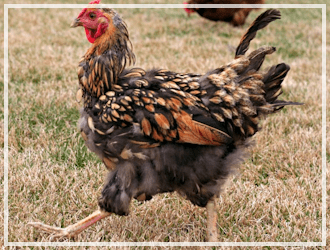 My chicken guy told me that I shouldn’t clean the coop out at all until around late February or even March….he said the poop will compost itself and create warmth. As long as there is ventilation for the moisture to escape, that will keep the ladies warm. Have you ever heard that? Because, it’s opposite of your advice so now I’m worried I’m doing this wrong. LOL! 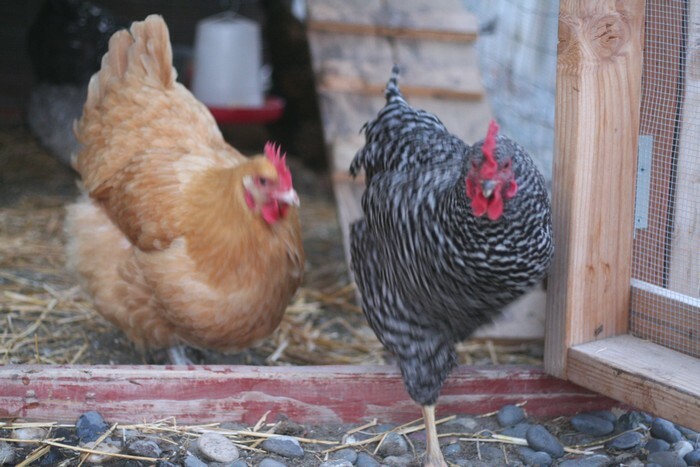 My girls are in a small coop with an attached run – it’s a small chicken tractor, if that matters. Thanks! I have also heard that , but because I am in the city I just cannot leave the poop in there – the neighbors would start to smell that. Plus I did try it in my coop, but the chickens seemed to be getting poopy feet all the time and it grossed me out. I’m in NDakota and its been crazy cold here. -35 to-20 most nights the past few weeks and 3 of my hens got a small amount of frost bite on there combs, however these were hens from a friend that aren’t breeds I choose for our weather ( choose your breeds wisely like another comment s mentioned). 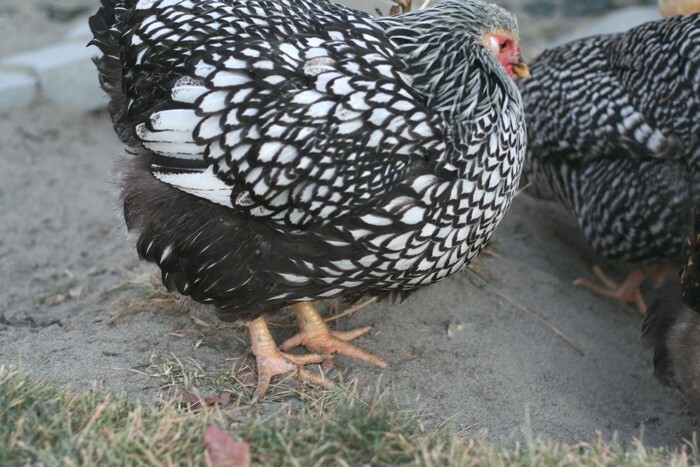 My silver laced wyandottes and barred rock hens are doing just fine! Finally put a heat lamp in there and the temps are a bit warmer, still only up to -10 in the coop the other day, but no more frost bite since I added the lamp. They are amazing animals, yesterday it was 15* out in ‘the heat’ of the day you would have thought it was summer, they were all out taking dust baths in an area I scooped snow off for them in our nearby woods. Love having chickens! Karrie I just love your posts about your little chicken family! We also use red heat lamps and our girls stay plenty warm and happy. 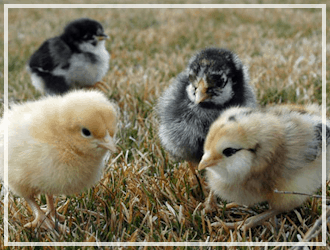 One other thing for folks to keep in mind when choosing chicken breeds, you should choose them as per cold or heat hardiness (according to the kind of weather you get in your part of the country) as well as the size of comb and waddle. The more frilly they are the more likely they are to get frost bite. Hope this helps. I pray a Very Merry Christmas to you and your family!